Over the age of 70, two out of three Americans have meaningful hearing loss, but only 20% of people who need hearing aids end up buying them. Hearing aids can offer support to those who are hard of hearing–and treatment can help slow the decline of other cognitive abilities like memory and concentration. Untreated hearing loss is also linked to stress, depression, and even risk of developing Alzheimer’s. But hearing aids don’t always fit into your budget. You don’t have to pay thousands of dollars to experience the life-changing benefits of hearing aids. Here are some of the most effective, sophisticated, and affordable hearing aids out there. These are some of the latest developments in hearing technology. While hearables aren’t traditional hearing aids, they combine amplification with audio control to assist with mild hearing loss. These hearing aids double as Bluetooth buds–so you can stream music and phone calls directly to your ears. They also enhance your ability to hear speech while dampening ambient noise. It even has different settings for different environments-home, restaurant, driving, music, office, and more. These settings are connected to your smartphone so you can make any adjustments on the go. Because these aren’t traditional hearing aids, you don’t need a prescription and you can order these online. Just keep in mind these aren’t strong enough for severe hearing loss. At only $299 per pair, they’re a viable everyday solution to those with mild to moderate hearing loss. With this supplier, you can choose between two hearing aids. One fits behind the ear and the other is an invisible model which fits inside the ear. While these hearing aids don’t automatically distinguish between different audio environments, they have several basic settings for you to choose from. These can provide substantial support for those with mild to moderate hearing loss. In this case, you’ll need to get an audiogram and send it to iHearMedical. They will then pre-program your hearing aids and send them to you. These can provide significant aid, however, they’re not as versatile as other models and you won’t get the precise fit that you would with a hearing aid specialist. At $699 per pair, these hearing aids can offer you professional hearing assistance for a low cost. The CS50+ personal sound amplifier has a simple, over the ear design. Like the IQ Hearable Earbuds, these aren’t necessarily professional hearing aids–but these devices can assist with mild hearing loss without breaking the bank. These pair with a smartphone for further customization. You can direct the environmental settings for optimum performance–even in the noisiest locations. While the smartphone app can help you change your settings, it’s not required and you can adjust directly from the device. If you’re looking for something simple, customizable, and comfortable, the CS50+ is a great option. Again, keep in mind that this model is not designed for severe hearing loss. At $349 a pair, this is one of the most affordable hearing aids on the market. This company is known for selling the same professional quality hearing aids from major manufacturers at a fraction of the cost. First, you select your desired hearing aid from the website. Then you send them your audiogram in order to get your pre-programmed hearing aids. After a year or more, you’ll have to adjust the hearing aids yourself from home. This might take some extra effort from you, but it’s easier than you might think–and it saves you a lot of money. BuyHear will give you the phone support you need and send you an adjustment kit for free. These options can handle anything from mild to severe hearing loss–just be sure to do your research so you select the hearing aid that’s right for you. At $1000 to $3500 per pair, these might seem like they’re on the pricier end, but keep in mind that these models are sold at 50% of the traditional cost. The Bean Quiet Sound Amplifier features a built-in sensor that automatically responds to the surrounding noise level. It can amplify soft sounds like speech, while still keeping background noises or loud noises steady. It’s designed for amplifying speech so you can continue having conversations in any location. The T-Coil Bean can also be used with hearing-aid compatible phones or loop systems. It has long battery life and a subtle, in-ear design. It also comes with 7 ear tips of different sizes to ensure maximum comfort. At only $349, this sound amplifier can make a simple, affordable, and effective hearing aid. Audient is a national nonprofit that works with suppliers to provide discounted hearing aids to those with low income. You’ll need to fill out an application with your income guidelines–which require you to have up to $27,000 annual income for an individual and $36,000 for a couple. If you’re approved, the organization will contact you to speak with a hearing care professional. This can be a great option for low-income individuals or seniors with little money to spend. The one downside is that it only offers a limited selection of hearing aids–and they may not offer all the benefits of premium hearing aids. Hearing aids from Audient come between $990 to $1575 per pair, depending on your level of need. Hearing loss can be an inevitable part of growing older. But don’t let it hold you or your loved one back. 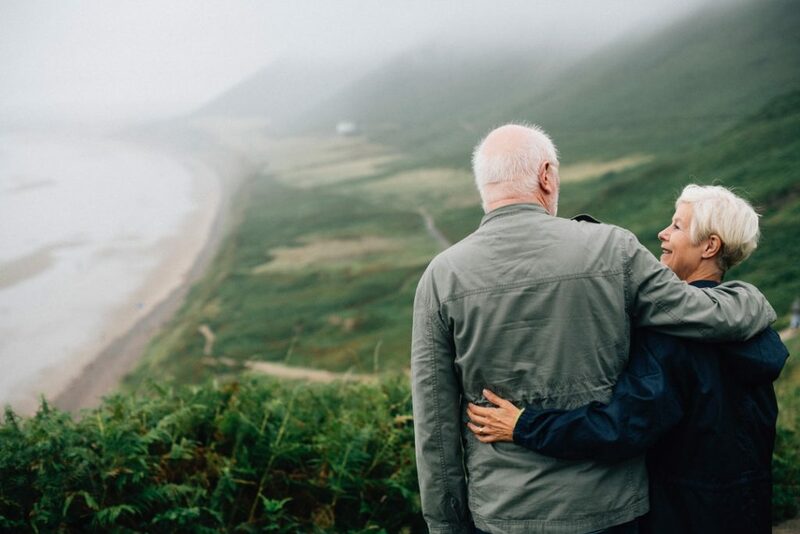 These affordable hearing aids can help boost soft sounds while keeping background noise steady–so you can hold comfortable conversations in any environment. And better yet, you won’t have to break the bank to do it. Still trying to narrow down the best hearing aid for you? Check out our other hearing aid reviews to learn more!